Gender Action (‘Gender Action’, ‘the Programme’, ‘we’, ‘us’ or ‘our’) is an award programme delivered by a number of stakeholders as listed below, but led by the Institute of Physics (‘IOP’), to increase awareness and understanding of the value that whole-school gender equality can deliver for all of us. As the context permits, references to Gender Action means all the founders (https://www.genderaction.co.uk/founders) collectively and/or each of them individually. IOP, King’s College London, University College London and the University Council of Modern Languages are the joint Data Controllers for all personal information submitted through www.genderaction.co.uk (‘the Website’). This Privacy and Cookies Notice (‘notice’) provides you with information regarding your rights and our obligations and explains how, why and when we process your personal information. IOP’s registered office is at 37 Caledonian Road, London, N1 9BU. It is a registered charity in England and Wales under charity number 293851 and in Scotland under charity number SC040092. It is registered on the Information Commissioner's Office Register of Data Controllers under number Z6802378. 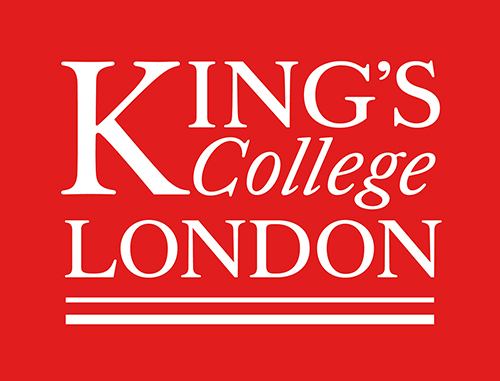 King’s College London is a Royal Charter Company with number RC000297 of Strand, London, WC2R 2LS. It is registered on the Information Commissioner’s Office Register of Data Controllers under number Z7915194. University College London is a Royal Charter Company: RC000631 of Gower Street, London, WC1E 6BT. It is registered on the Information Commissioner’s Office Register of Data Controllers under number Z6364106. The University Council of Modern Languages is an unincorporated membership association. This notice was last updated on 29 October 2018. We are committed to ensuring the security and protection of the personal information we process. Personal information is information which identifies you, or which can be identified as relating to you personally (for example, name, address, email address, phone number). We will make every reasonable effort to protect your privacy by adopting a high level of website security and adhering to policies on how we store and use personal information. If you provide personal information to us about someone else, you must ensure that you are entitled to disclose that information to us, that you have obtained any required consents from, given such notices to, or otherwise taken such actions as are required in order for the lawful processing of that data in accordance with data protection laws. Where the data subject of such personal information is a child under 13 years old you shall, in particular, ensure that you have obtained the valid consent of the parent or holder of parental responsibility of the data subject to the processing of that personal information. Your personal information will be used by us. The personal information we collect about you, or that you provide to us, will be dependent on your relationship with us and the way in which you choose to interact with us and your level of engagement with us. We’ll only collect the personal information that we need in connection with specific activities such as registration or digital badging, volunteering, conducting research etc. Collecting specific, relevant personal information, as outlined below, is a necessary part of us being able to manage and safely deliver the Gender Action Schools Award programme and to manage our relationship with you. Social media accounts (optional). If you provide these details, Gender Action may follow your social account via the Gender Action’s social accounts and also announce your participation in Gender Action via this method. The table below outlines the main purposes for which we will process your personal information, but this will depend on the nature of our relationship with you and how you interact with Gender Action’s various services, products, websites and activities. It also includes the categories of your information involved. Where you have consented to our use of your personal information for a specified purpose. Where you have given us your consent to use your personal information in a particular manner, you have the right to withdraw this consent at any time, which you may do by contacting us as described in the "How to contact us" section below. Please note however that the withdrawal of your consent will not affect any use of the data made before you withdraw your consent and we may still be entitled to hold and process the relevant personal information to the extent that we are entitled to do so on bases other than your consent. Withdrawing consent may also have the same effects as not providing the information in the first place. School details or area/region details – this information will be retained within the website whilst your personal information is anonymised. This allows for a successor to take over your account. Images in video and/or photographic form may be retained for a period of up to three years following their submission, so that they can be used for future communication, media and publicity purposes. All personal data relating to Gender Action is stored by IOP. IOP’s operations are based in the UK and Ireland and we store most of our data within the European Union (EU). Some organisations which provide services to us may transfer data outside the European Economic Area but we’ll only allow this if your data is adequately protected. Some of our systems are provided by US companies and whilst it is our policy that we prefer data hosting and processing to remain on EU-based solutions, it may be that using their products results in data transfer to the USA. However, we only allow this when we are certain it will be adequately protected (e.g. US Privacy Shield or Standard EU contractual clauses). We will only share your personal information where we need to do so in order to deliver the Programme, and we will put in place arrangements to protect your personal information. Outside of that, we do not disclose your personal information unless we are required to do so by law. Programme researchers and auditors: When participating in the annual survey, any data you submit will be shared with the third-party supplier we engage to administer this. If at any time it becomes available and you request a volunteer to facilitate or deliver a workshop, your details will be made available to the Gender Action team and with any participating organisations necessary to enable this to be organised. If at any time it becomes available and you request work experience opportunities for your students, your details will be made available to the Gender Action team and with any participating/facilitating organisations to enable this to be organised. We may disclose aggregate statistics about our Gender Action schools and organisations, and visitors to our websites to describe the Programme, services and operations to prospective partners, advertisers and other reputable third parties and for other lawful purposes, but these statistics won’t include any personally identifying information. Under certain circumstances, by law you have the following rights in respect of the personal information we hold about you. For more information about these rights or if you wish to exercise them please contact us. In the first instance, please talk to us directly so we can resolve any problem or query. You also have the right to contact the Information Commissioner's Office (ICO) if you have any questions about Data Protection. You can contact them using their helpline 0303 123 113 or at www.ico.org.uk. Google Analytics: This cookie allows us to see data on things like the number of users visiting our site, and the browsing behaviour of those visitors. This type of data will let us understand which parts of our site get the most users and traffic and which parts of the website are underperforming. All of the information gathered is completely depersonalised and will never be tracked back to individuals. Google AdWords: If in the future we may use the code provided by Google AdWords to better track how successful (or not so successful) our advertising through the AdWords platforms has been which allows us to better understand what our users want. For example, we are able to see from which one of our adverts you clicked on and, from which campaign you downloaded one of our PDF’s or became a new member. These cookies may be set by us or third parties and record your visit to our site, the pages you have visited, your progress in completing any forms on our site and the links you have followed. They may be used to build a profile of your interests and we may share this information with third parties for this purpose. They do not store directly personal information, but are based on uniquely identifying your browser and internet device. If you do not allow these cookies, you will experience less targeted advertising. Social Shares: All of the social sharing features on our website set their own cookies (e.g. Facebook, Twitter, LinkedIn, Instagram, Flickr, YouTube) so that we can track the social engagement. We have made changing your cookie preferences very easy; there is a cookie settings link at the top of every page of this website. Click the link to change your cookie preferences with ease at any time. You will not be able to opt out of strictly necessary cookies.